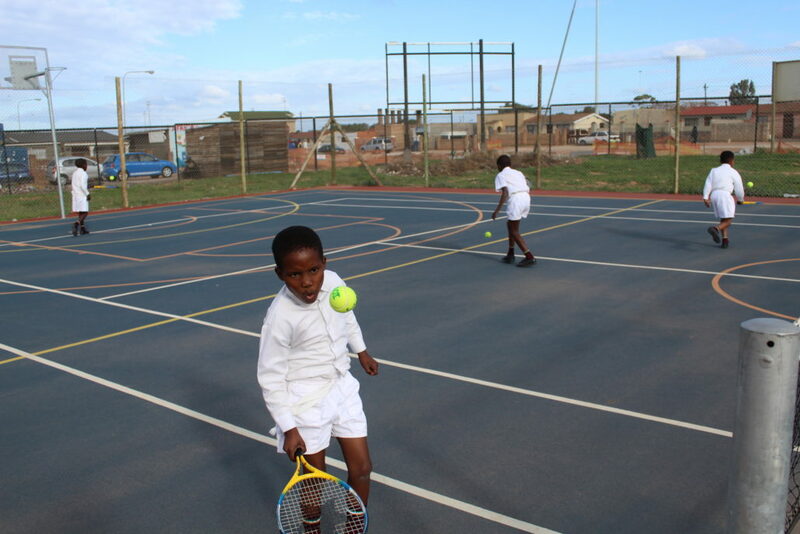 Primary School children in South Africa are being exposed to the sporting code of tennis for the very first time, which can now be played on the newly-built United Through Sport Multi-Sport Court. Leaving a legacy by building a place where children can continue to play sport for years to come, was celebrated recently by United Through Sport South Africa. 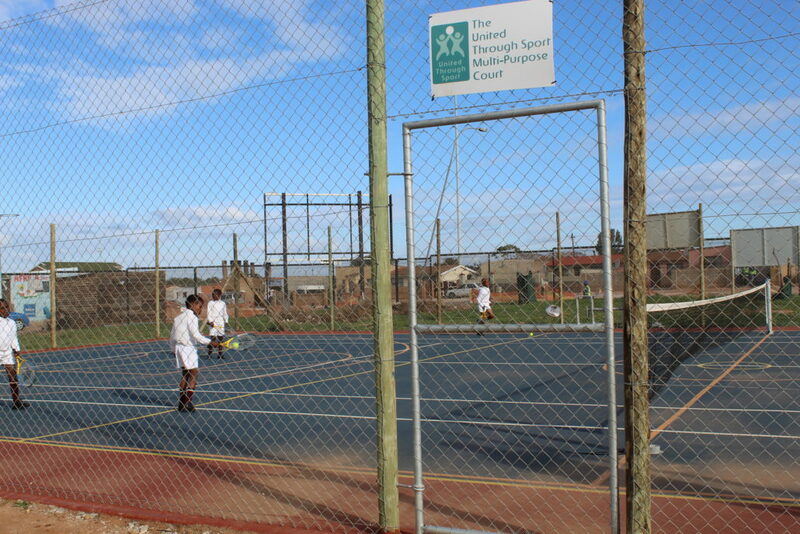 The United Through Sport Multi-Sport Court is an initiative of UTS South Africa supported by The Swartkops Terminal PTY (Ltd). 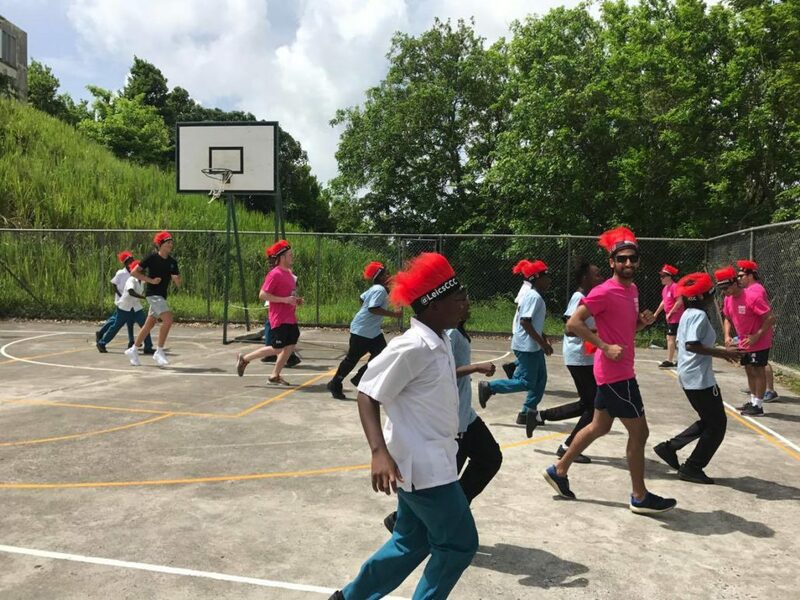 Having eagerly watched the building process over the last few months; Children from Isaac Booi Primary School and the surrounding community will now have their first opportunity to play netball, basketball and tennis on the facility. 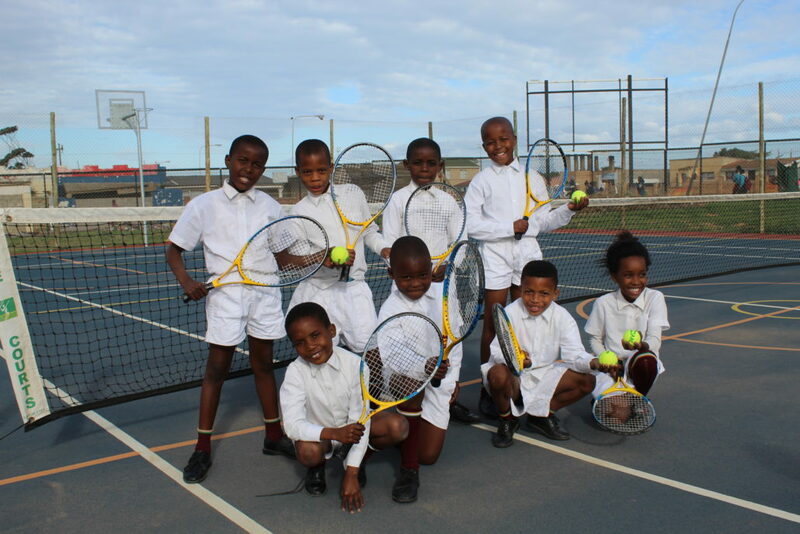 Isaac Booi is an anchor school of United Through Sport’s Junior School of Excellence (JSE) Programme, which is based in Nelson Mandela Bay, South Africa. 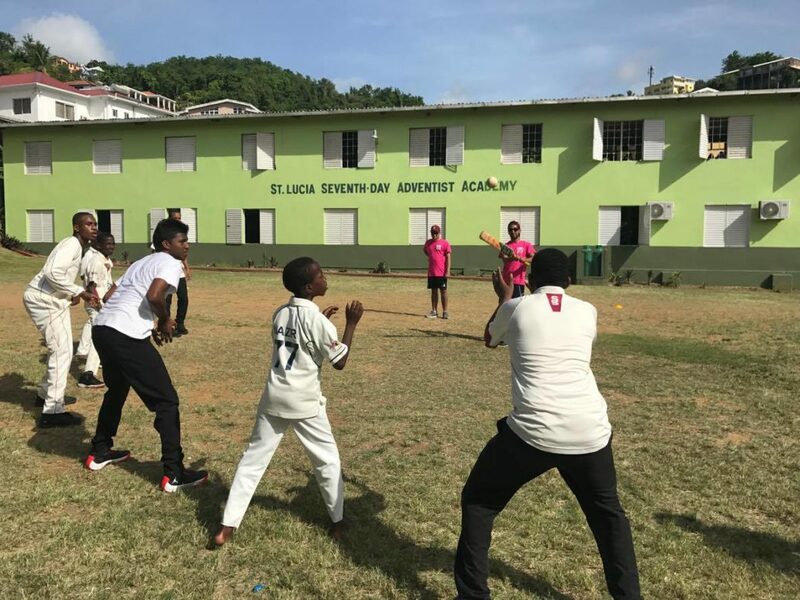 The programme nurtures participants with ability and determination to give them access to extra academic education, sports coaching and personal development at after-school classes. 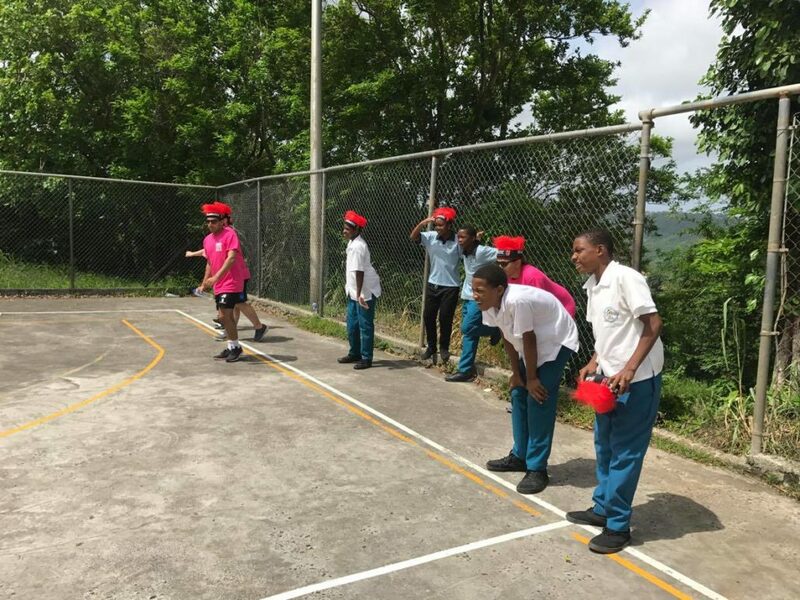 “Making a sustainable difference in the communities where United Through Sport works, is a core priority and we believe this Multi-Sport Court will continue to offer children a safe place to play sport – for years to come as a legacy project. 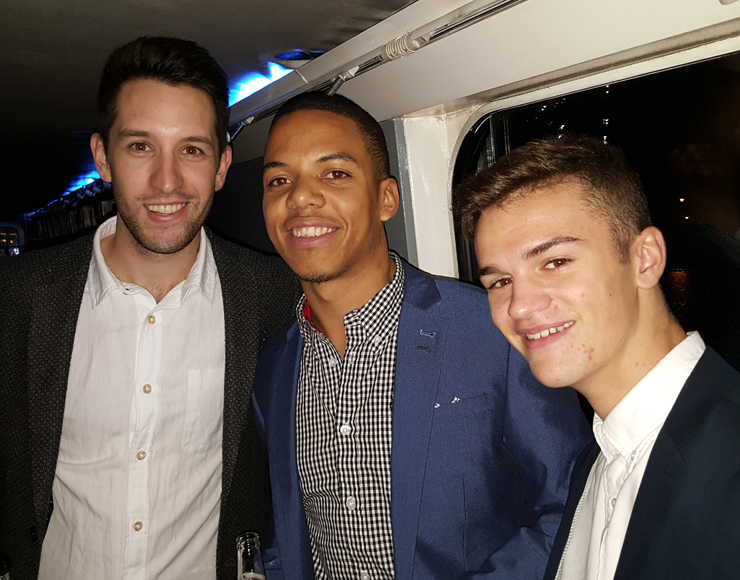 The court not only benefits our programmes we run at the school, but it is also there for the enjoyment and benefit of all the learners at the school as well as the local community,” said United Through Sport Director Nick Mould. To continue to develop the Junior School of Excellence children to the highest level and give them an opportunity to rise above their challenges, they need to have access to quality facilities such as the Isaac Booi Court to enable them to compete with their counterparts. 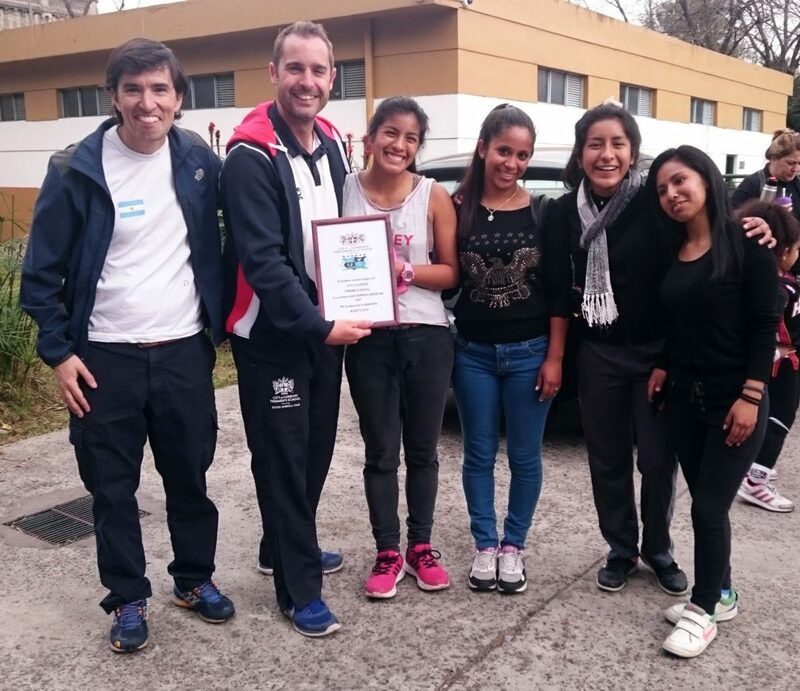 “I would like to thank United Through Sport for their initiative in child development. Their team does an amazing job. I am very proud of The Swartkops Terminal for its involvement in this project, that benefits children on a personal level which is carried through to adulthood. 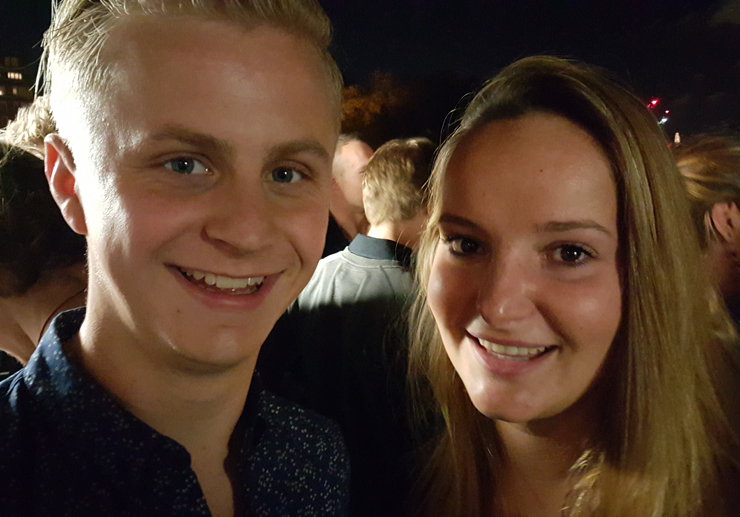 The fact that this project will develop children for years to come make it so much more rewarding,” said The Swartkops Terminal PTY (Ltd) Terminal Manager Colin Wilken. Isaac Booi Principal Mr Ludwe Memese said the entire school looked forward to the opening of the court. 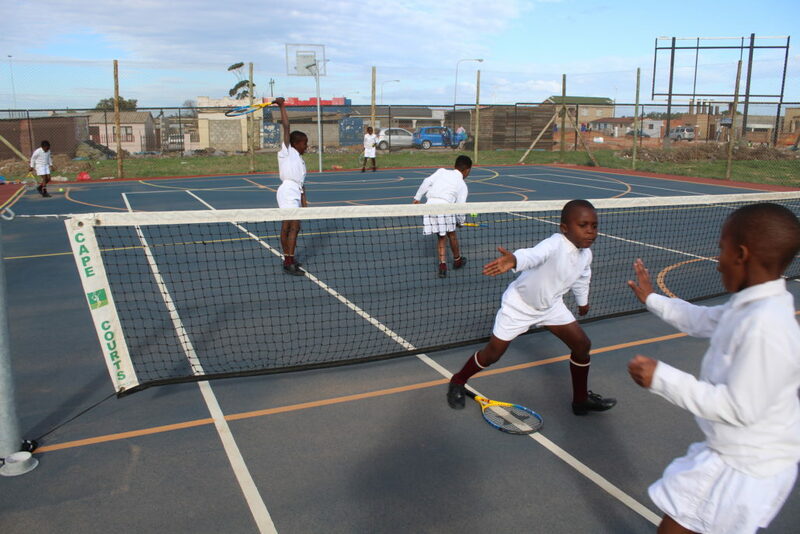 “We are the first, if not the only school with such a facility in the township. This would help to market the school to the neighbouring schools. 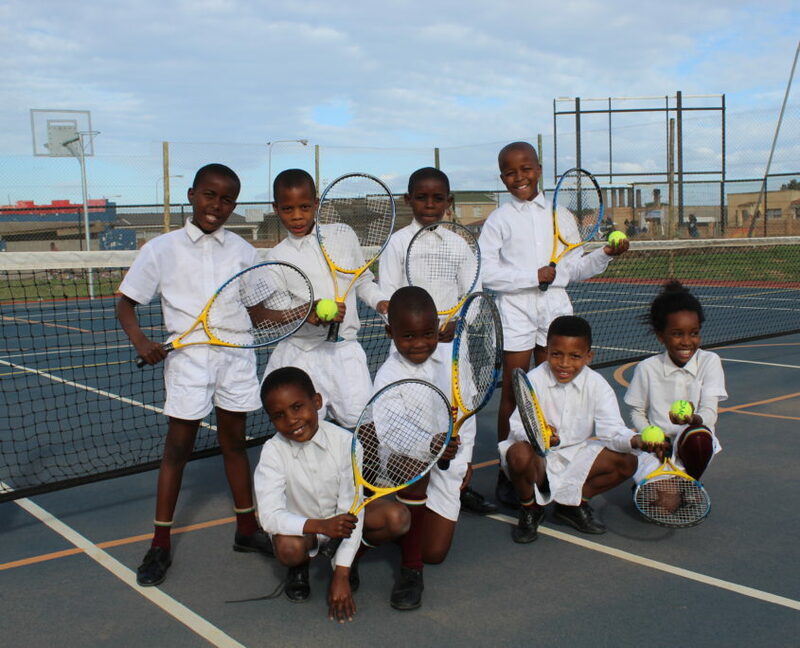 It will enable the learners not only to be keen in partaking in the sports they are familiar with, but also learn to play tennis which is a rare sporting code in our communities,” Memese said. A parallel JSE Programme is run at Astra Primary School, where a Multi-Purpose AstroTurf, used for hockey and soccer training, was also built by United Through Sport– with the help of various funders. The Multi-Purpose Astro Turf court was launched in 2016. Following a tragic car accident, Garvin, a young beneficiary from our Vide Boutielle after school football programme, was left fighting for his life, surviving on only two pints of blood. After weeks on life support and multiple operations he is now in a much more stable state. 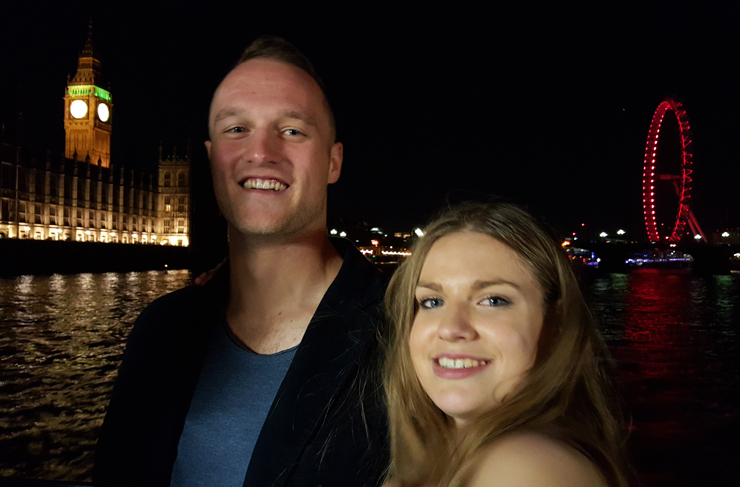 Rugby coach Bryn Owen-Conway will be running a Marathon on Sunday 26th in order to raise much needed funds for the cause and will be accompanied along the way by our friends and team. He has set an overall target of £2000, which will go a long way towards covering the current medical debt, providing Garvin with a wheelchair and the physiotherapy course that we hope will eventually get him back playing for our partner: Shamrock Football Club! 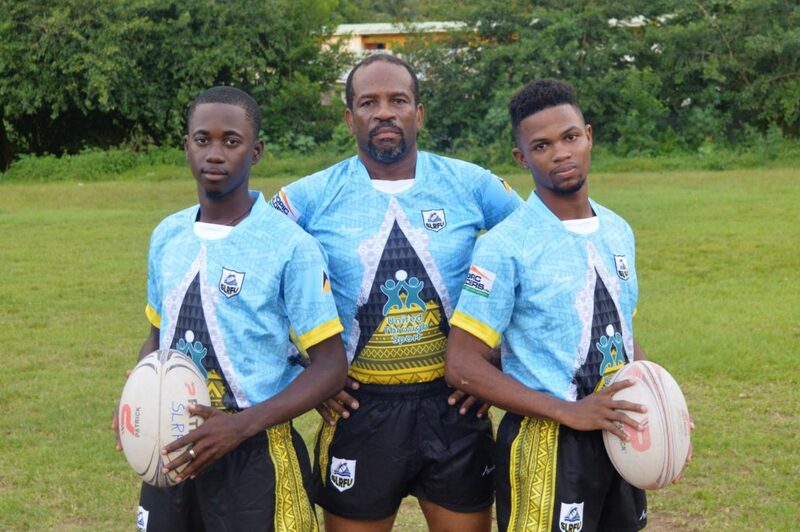 United Through Sport Caribbean were able to provide 25 full uniforms for the St. Lucia National Men team and 15 for the Ladies side. 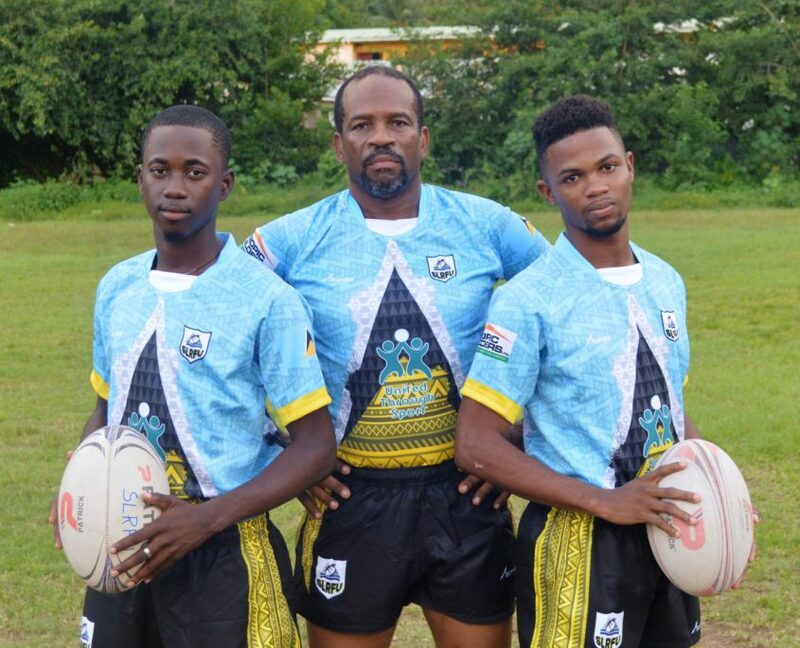 The kits were bought as part as UTS Caribbean’s objective to raise the standard and profile of the St. Lucia’s National Rugby Teams. We are delighted to be able to provide both teams with pro-playing kits and hope it is a design the players will be proud to wear. We wanted to give the young players within our programme something to aspire towards; the greater the National Team is, the greater the motivation to get there. 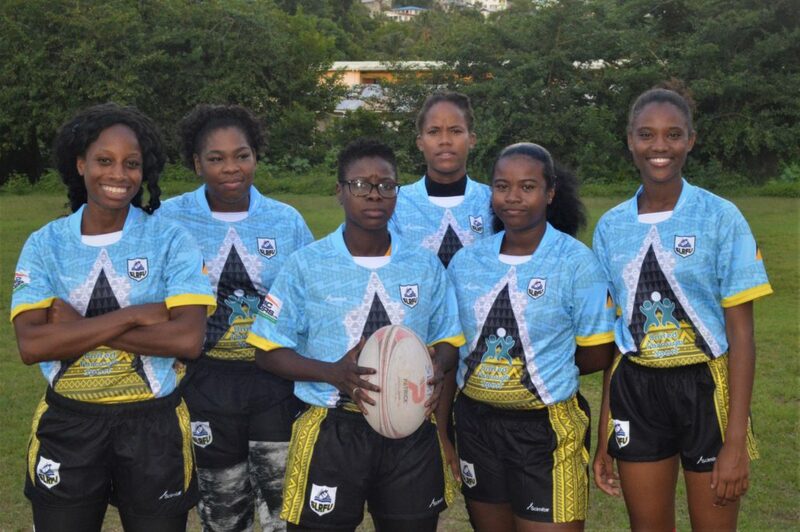 Uniforms will be worn for all National fixtures including oncoming Rugby America North tournaments. 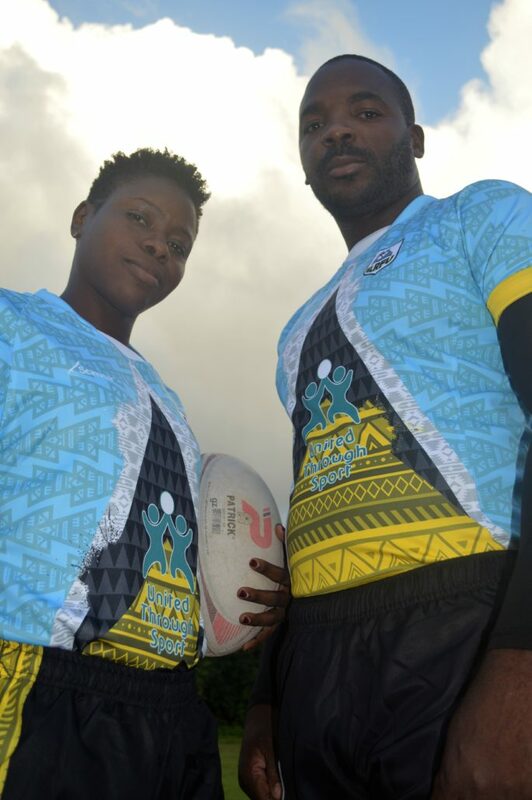 The design of the kit pays tribute to the St. Lucian Flag with it’s cyan to epitomise the sky, and surrounding Atlantic Ocean and Caribbean Sea. Yellow to symbolise the sunshine and prosperity, and triangles representing the island’s iconic Gros and Petit pitons. 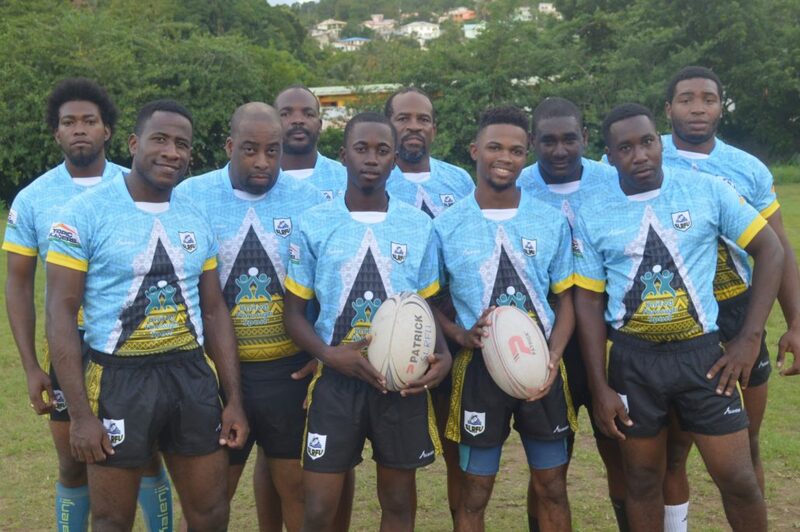 The background is made up of Carib tribal patterns as an homage to the original settlers to the island. The emblem of the SLRFU contains the Zandoli lizard which is endemic to the region and traditionally a sign of ‘good spirits’. 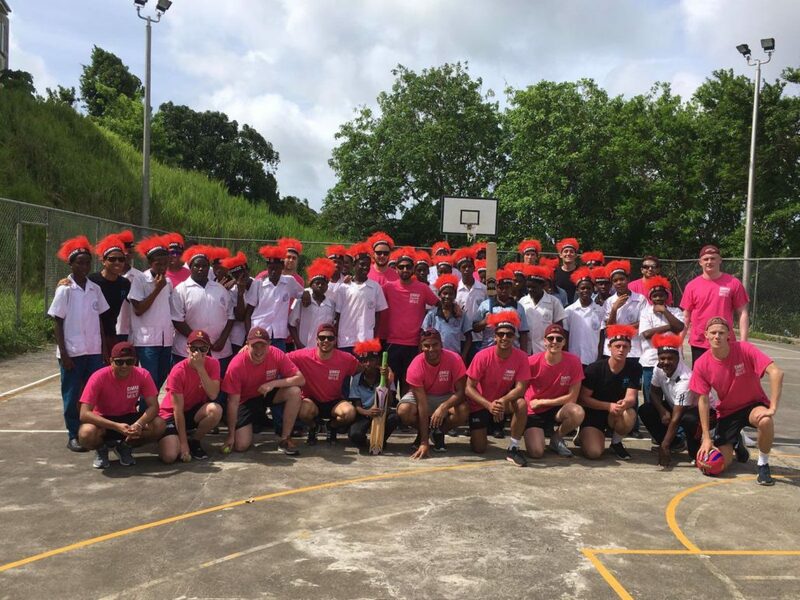 A touring cricket team from De Montfort University took time out from their busy tour schedule to spend a day within the United Through Sport projects. The day was designed to display the UTS development model: from the mass participation stage up to competition level and give the De Montfort players a chance to impart some expertise to our students. 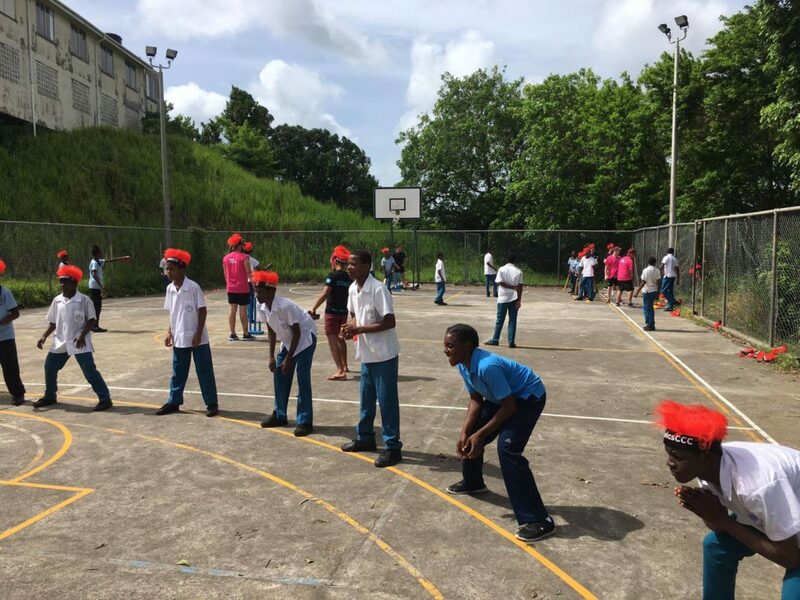 Accompanied by UTS volunteer coaches Jamie Inglis, Freddie Nehls, George Thomson and Director Joël Martin, the squad first visited our grassroots project at Bocage school. 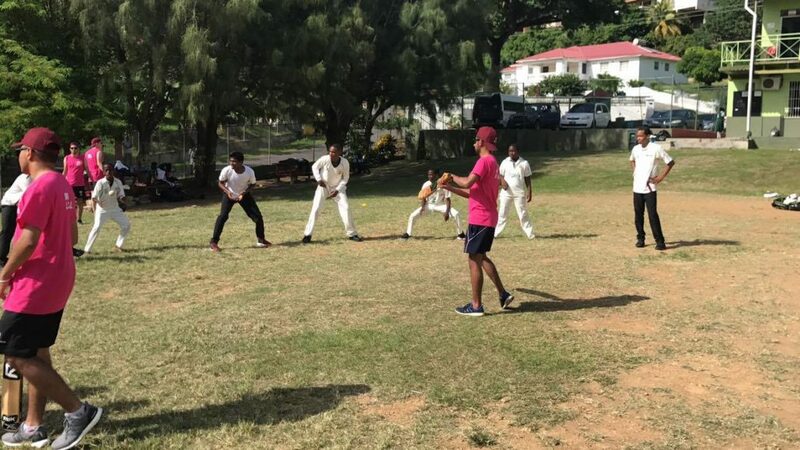 The arrival of a large team of English cricketers caused great excitement within the school: the session had been scheduled for 30 children however another 30 came to watch, even the school’s principal participated in the session! 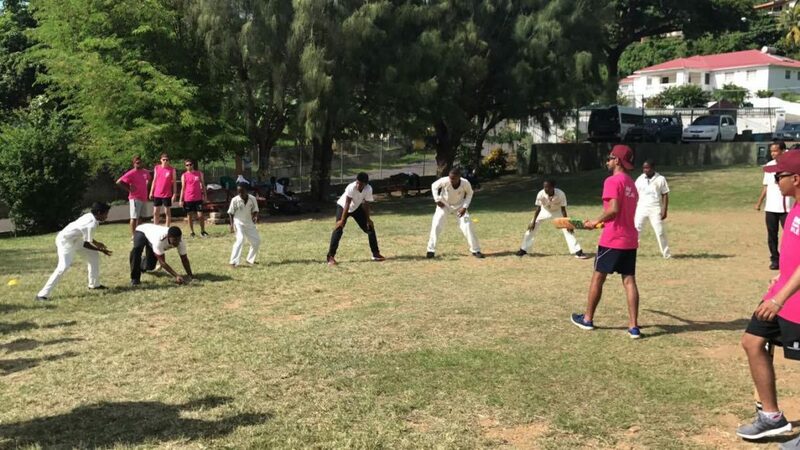 The De Montfort players were able to do fielding, bowling and batting drills before mini-games to finish. Perhaps more essentially the team bought a vast amount of specialist equipment which they were able to donate and will be of benefit to the children in the school for years to come. The team were then taken down to our after school project at the SDA academy, where many of the players were scheduled to face De Montfort in the weekends fixtures. Here the guys were able to create more game-like scenarios with our players and really put them through their paces, leaving our visitors notably impressed with the talent on offer. We finished the day at Gros Islet Cricket Club, allowing the De Montfort player so get in a quick practice net. 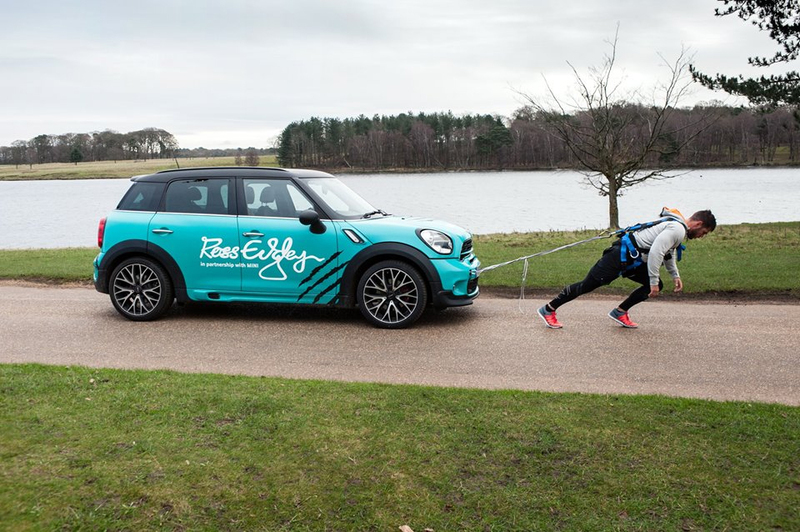 “United Through Sport were great to work with as they were able to put in place all of the coaching sessions, school visits and fixtures, which was a real help. 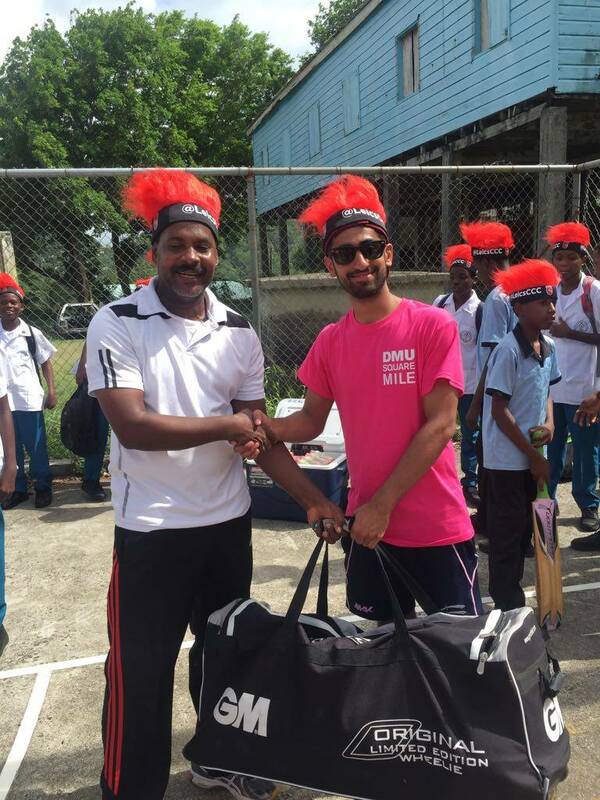 “We visited a sports academy which schooled the upcoming talent of the island and we donated two bags of kit to them, which you could see they needed. 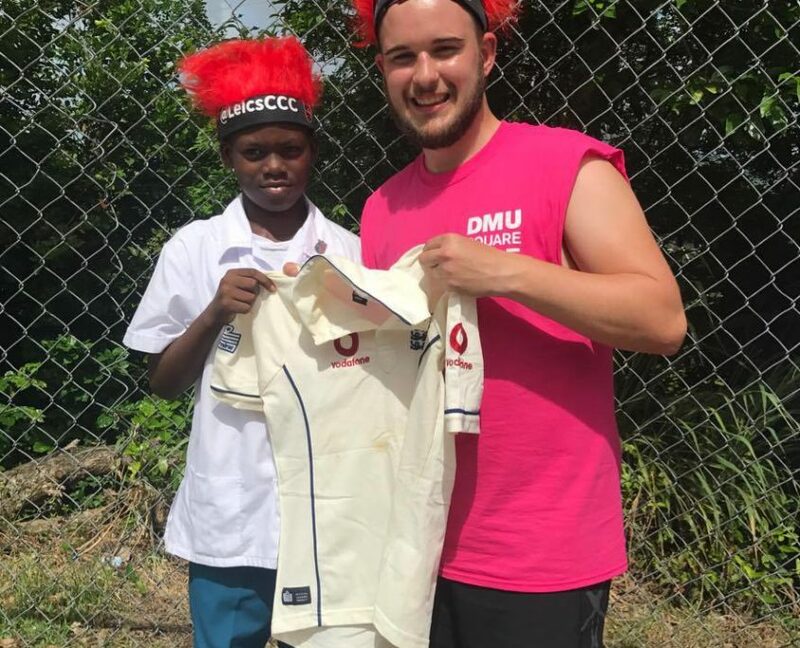 We would like to thank De Montfort University for their generous donations of cricket kit and gears to our children and projects and hope to continue working with them in the future. 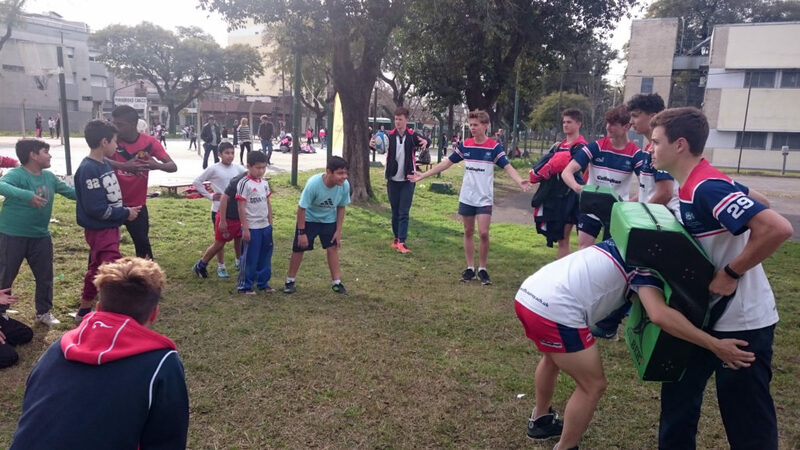 Most Sundays are rather laid back at UTS Argentina, but not this one. 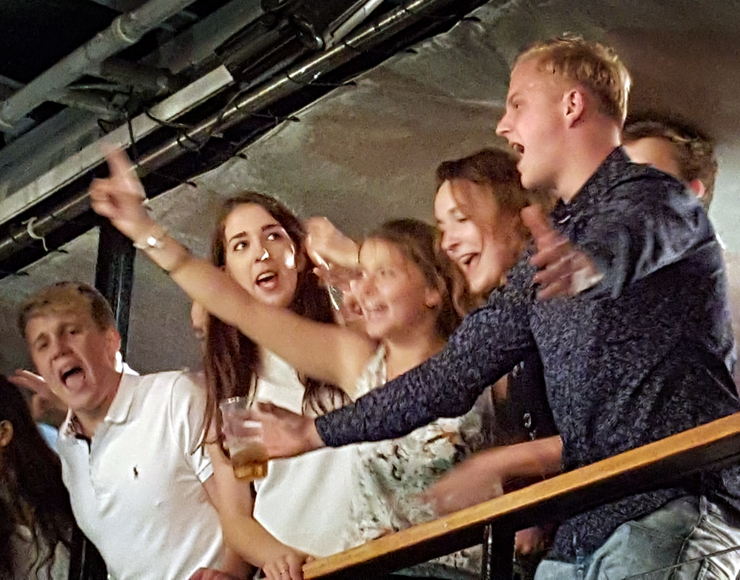 Sunday 14th August 2016 marked a very special day for us and our visitors. 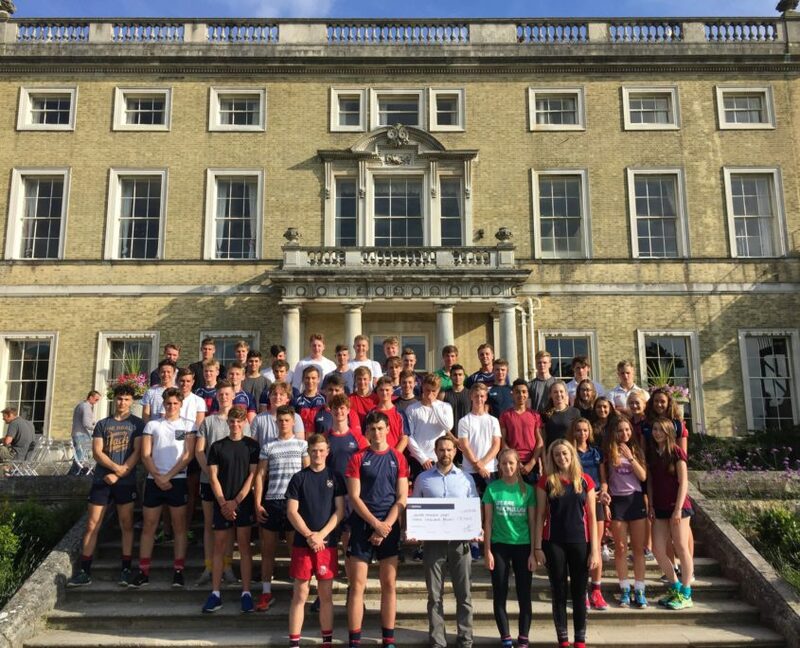 United Though Sport joined forces with City of London Freemen’s School from Ashtead in Surrey (UK), to host a sports day event for local children from our grassroots projects. 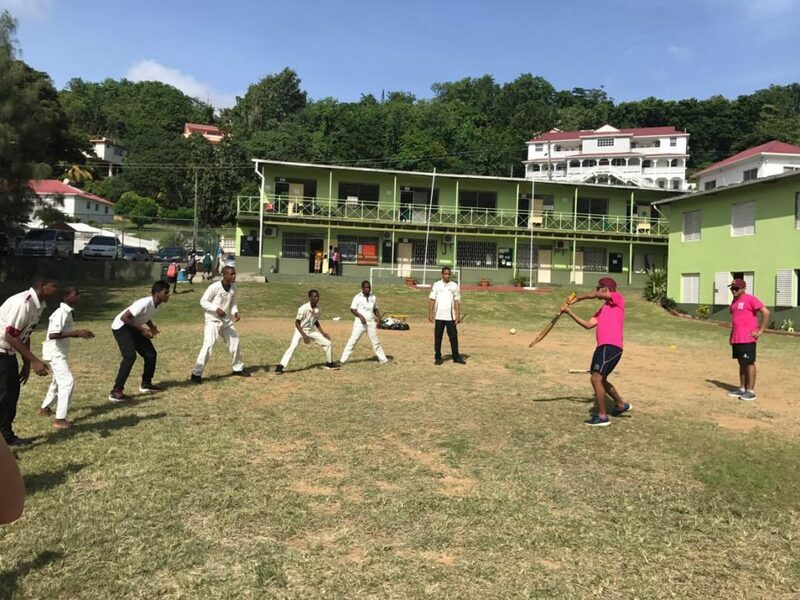 With the help of over 50 young, enthusiastic, vibrant coaches, we were able to show our local kids new and exciting ways to train, learn and play. Sessions consisted of a mixture of skill drills and strategic training but most of all; an emphasis on fun! 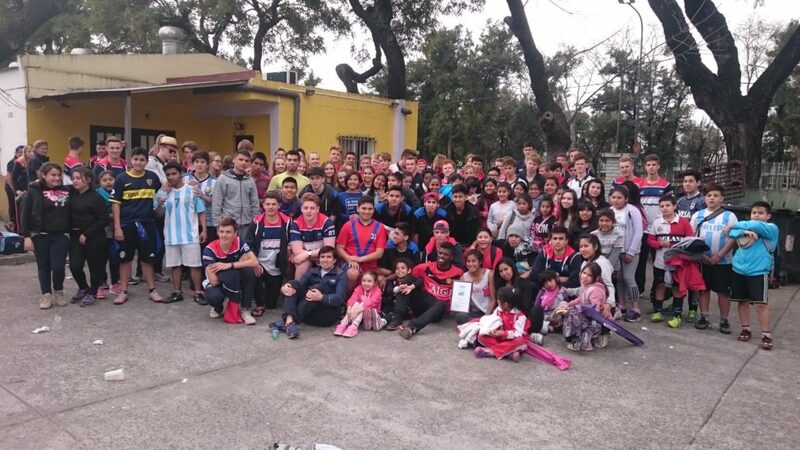 The event was an excellent chance for cultural exchange, most of our children having never met ‘Brits’ before and our visitors working with Argentinean children for the first time, it was a great opportunity to meet, play and speak with so many people of different backgrounds and experiences. The day started at 9:30am. After arrivals and introductions, we split into smaller groups for brief ice-breaker activities. Our visiting coaches were students of 16-18 years old The majority of them had started playing rugby and hockey around the ages of 8-10 years, similar ages to our kids at the park. The Freemen’s coaches set up a range of innovative drills focusing on: technique, speed, power, strategic plays and intuition. New training methods and techniques for our local players and coaches to learn from and reuse. 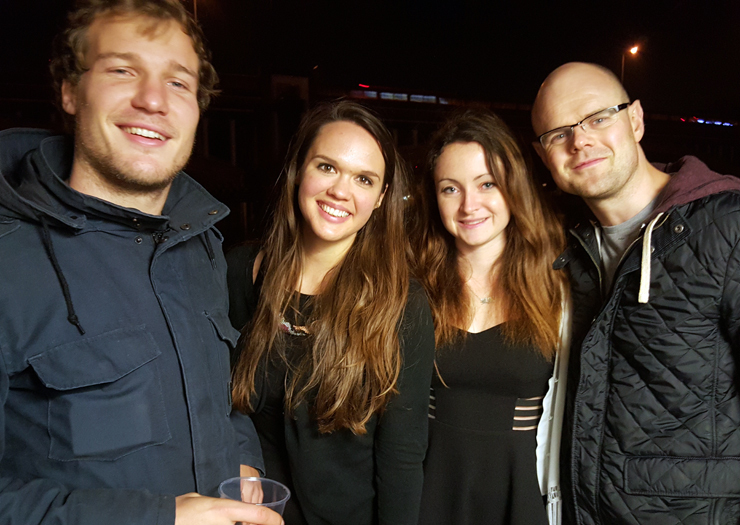 To end the day, our visitors were introduced to a taste of Buenos Aires culture! As UTS Argentina’s 8-man squad of young stars took on waves of 8-man Freemen’s teams in a Football tournament before a traditional Argentinian barbecue! United Through Sport would like to once again thank London Freemen’s School and its students for taking the time to join us to make the experience so enjoyable and successful; Botines Solidarios for provision of equipment and organisation of the event; Pareyra Park for use of the grounds and all the children and their families for coming out on Sunday morning to participate and support the event. 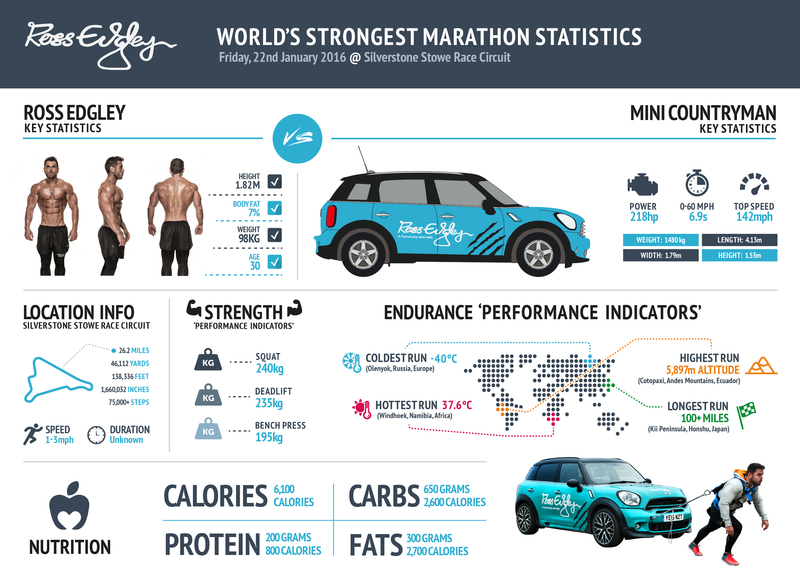 When the clock strikes midnight on the 22nd of January I (Ross Edgley) will step foot on Silverstone race circuit ― with whey protein shake in hand ― and attempt to pull a 1,400kg MINI Countryman 26.2 miles in an event the media is calling, “The World’s Strongest Marathon”. Why? The short answer is to raise money and awareness for United Through Sport. But the actual answer perhaps needs more elaboration on. Which is why I’ve put pen to paper to write this Blog post that begins with a brief back-story. It was morning, Aug. 1, 2002, on the sun-bleached African plains of Namibia. I’m 21 and have been tasked with documenting the life of the San Bushmen. A hunter-gatherer civilization who were no doubt wondering what the strange Englishmen was doing in their village. If I’m honest I don’t blame them either. I was completely out of my depth. That’s because bright eyed and straight out of university I’d become this odd writer-athlete hybrid that had developed a reputation for accepting even the weirdest of assignments. Which is why I find myself emerging from a mud hut wearing nothing but a smile, homemade flip-flops and a traditional ‘tribal thong’ that barely covers my modesty. Eager to earn their acceptance it worked. Never before had my bare buttocks received such rapturous applause as I was invited to sit among the men of the tribe. However my victory was short lived. Handicapped by the language barrier it seemed once the novelty of my semi-displayed cheeks had worn off there was very little else to do. Without any means of communicating I had no way of developing rapport with my hosts. Needless to say I wasn’t doing a great job as a writer or a San Bushmen. What seemed like hours of silence passed until eventually I was saved by a moment of inspiration. I remembered the immortal words of Sebastian Coe ― former Olympic Gold Medallist ― that were engraved on a giant plaque in my University library. Politely excusing myself from the group I returned to the hut. Frantically searched for the semi-inflated football I’d kept in my luggage. Then returned to nervously present it to the tribe. Not a word was spoken. It didn’t need to be. 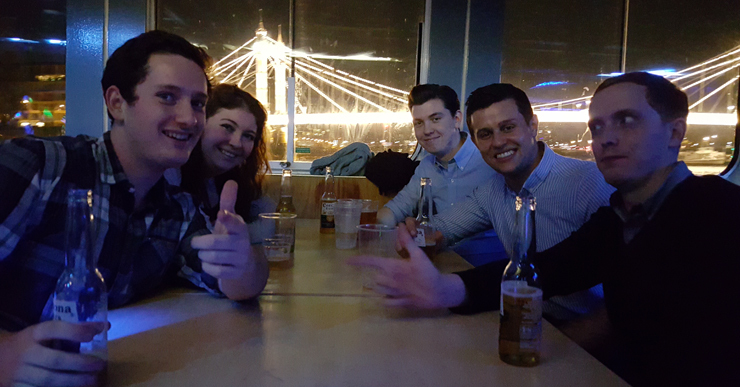 We marked out some goals, picked teams and an impromptu match ensued. But it was experiences like this that taught me everyone loved sport. Everyone loved playing it. Everyone loved watching it. Everyone understood the value of it. Sport is an unwritten language understood by all. 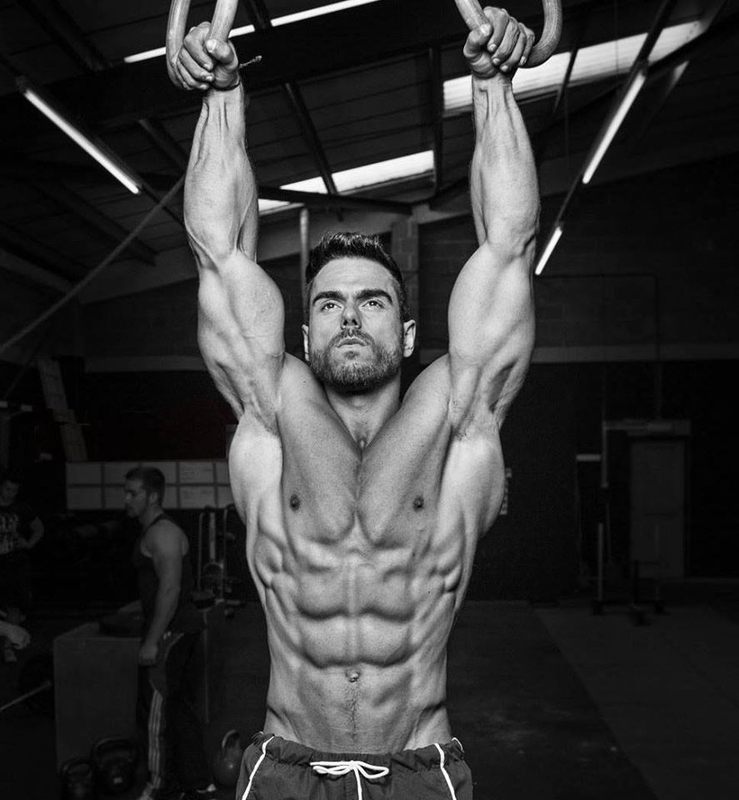 If at the end of the above ‘to do list’ myself and THE PROTEIN WORKS™ raise enough money and awareness for charity I will consider every blister, rope burn and painful step taken not in vain. 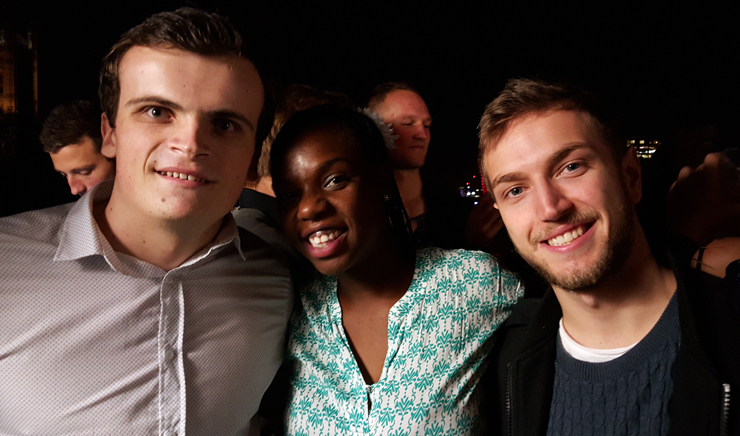 Last night saw the coming together of nations as United Through Sport threw its annual reunion party. 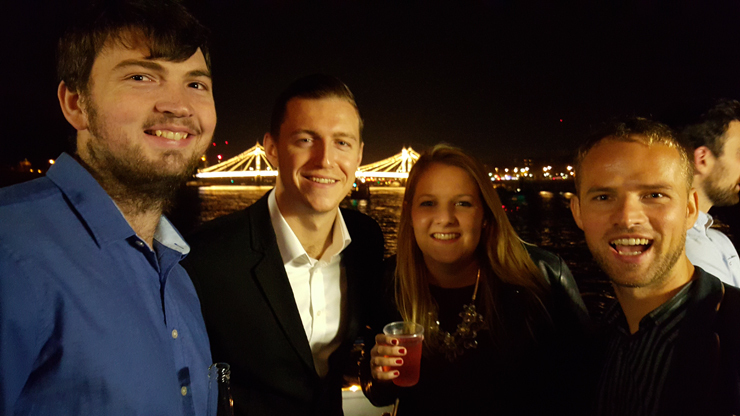 Past volunteers and members of the United Through Sport family flew in from all corners of the world to mark almost 12 years of work. 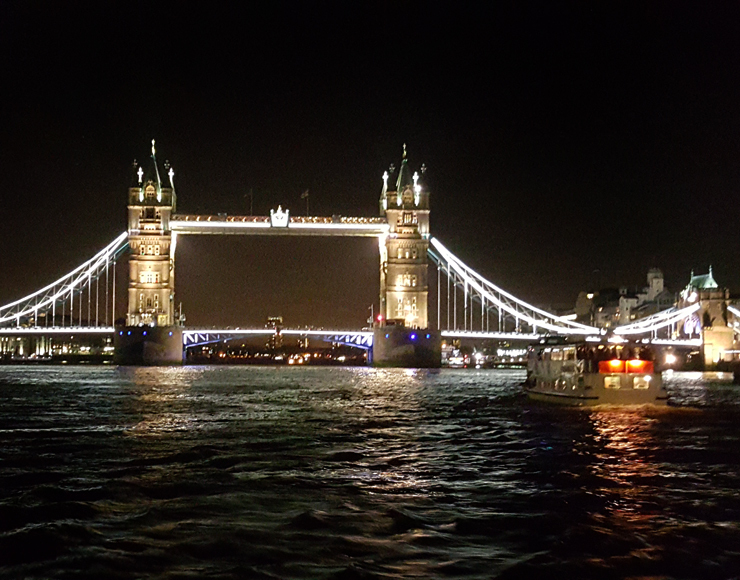 The evenings format took shape on board the Jewel of London, a cruise boat that rocked out some pumping tunes and took us on a four hour journey up the River Thames. 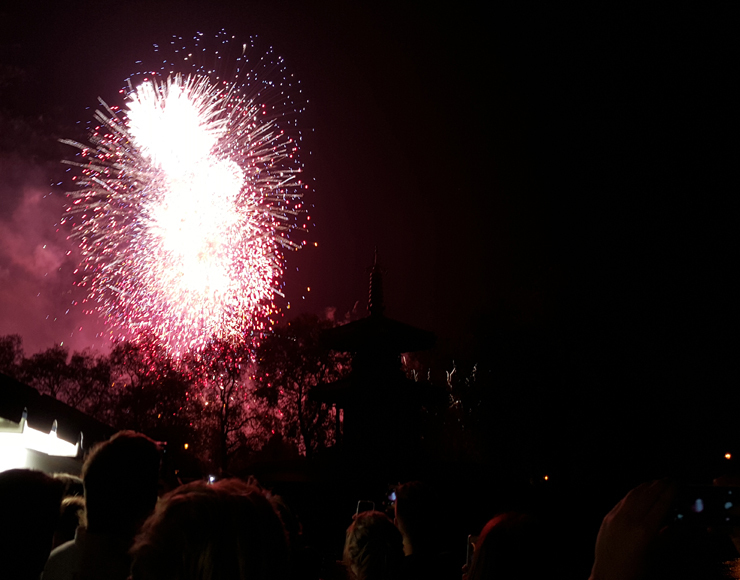 Timed nicely with bonfire night, guests were additionally provided with a spectacular fireworks display near Hammersmith bridge. 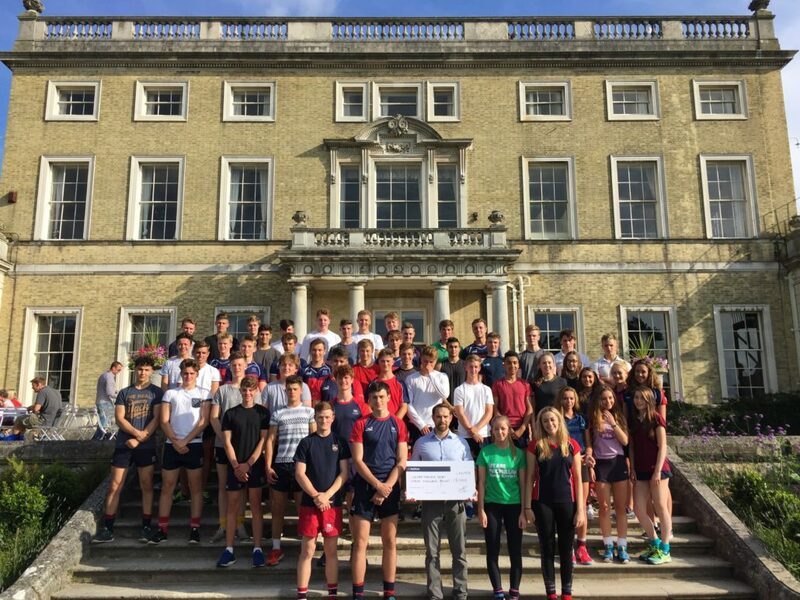 The evening was an important opportunity to recognise all the work that is going on in the various countries where United Through Sport operate and the many people that have contributed to the charity in the form of volunteering abroad or through generous financial giving. 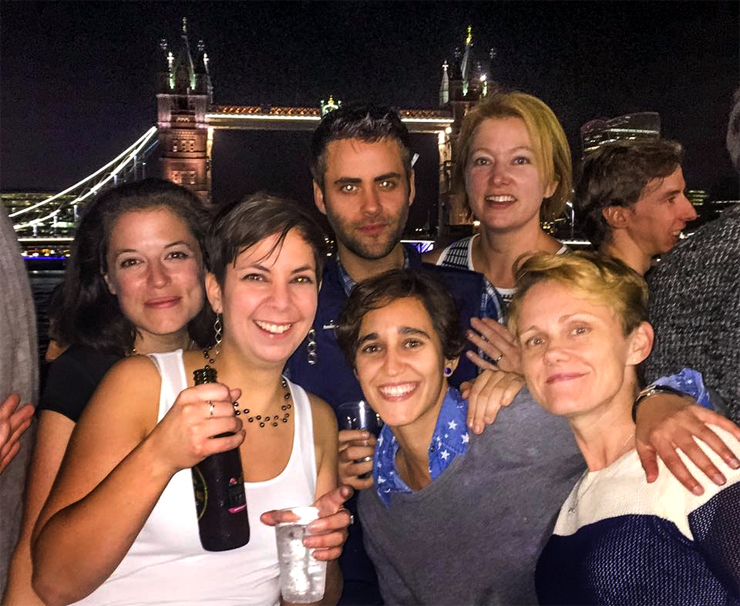 Many of our volunteers had the opportunity to hook up with old friends who they have shared overseas coaching work with, reminding them that they are important ambassadors for the organisation to take our message back to their communities at work or university. 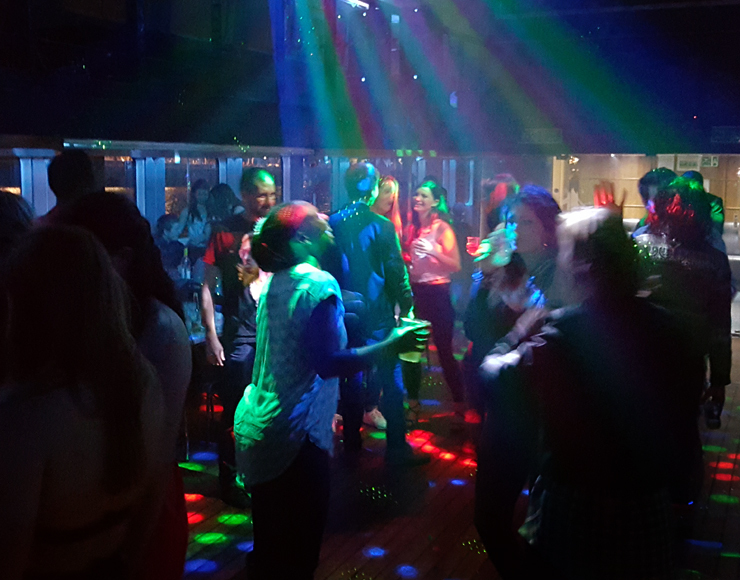 Thanks to all that came and made it a great night. 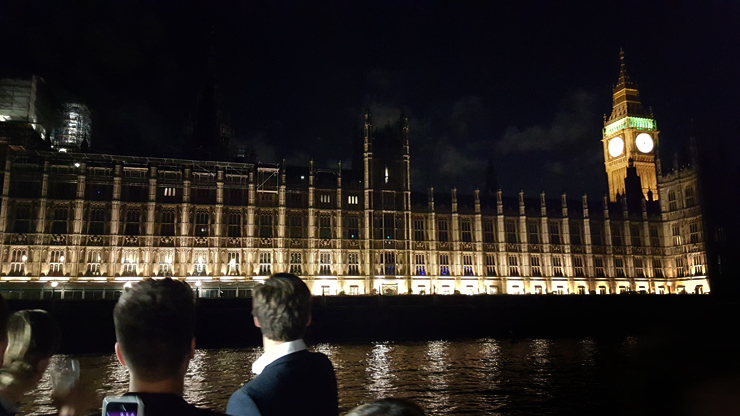 We look forward to seeing you all again soon. There are a few things on this planet that most sensible people would never contemplate doing. 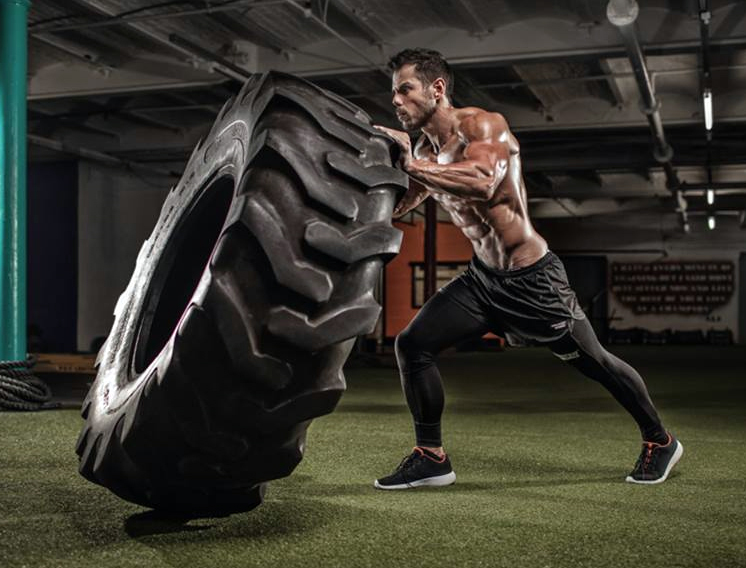 However, for a minute group of others, the challenge of pushing yourself mentally and physically to the limit, seems well worth the effort. 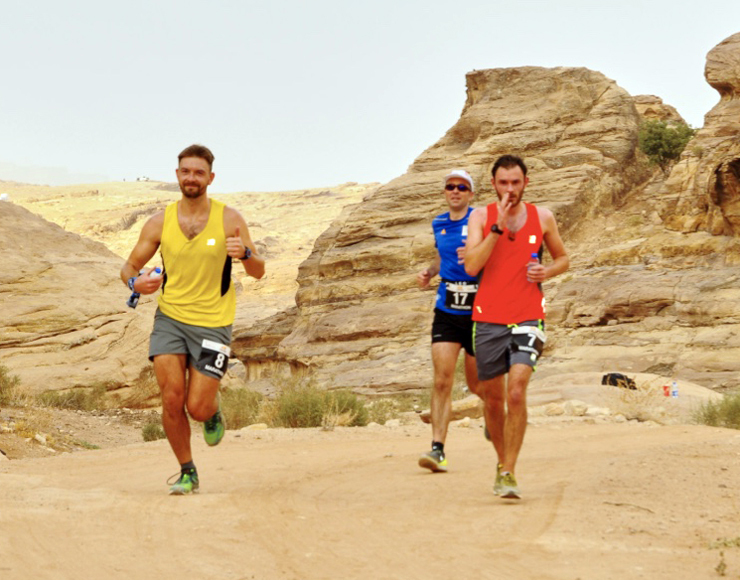 Take the Petra Desert Marathon, a challenging adventure marathon set in the beautiful desert region of Jordan. 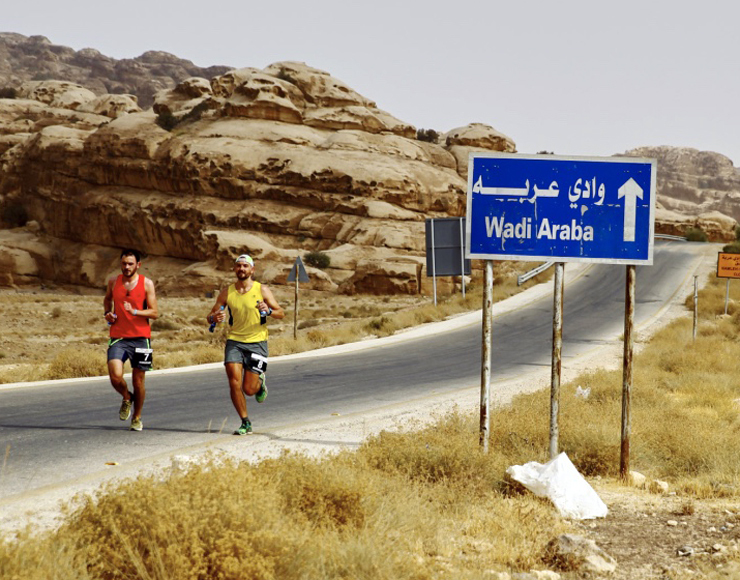 Starting in the ancient city of Petra, the route takes runners on a remarkable journey through the area surrounding Petra. 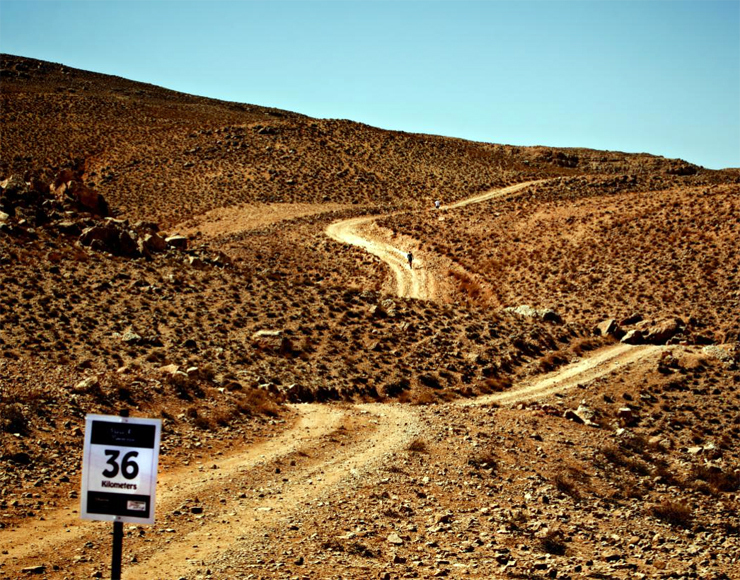 From the lunar-like mountain landscape to the arid desert, runners navigate challenging terrain in the dry, desert heat… 35 degree plus! 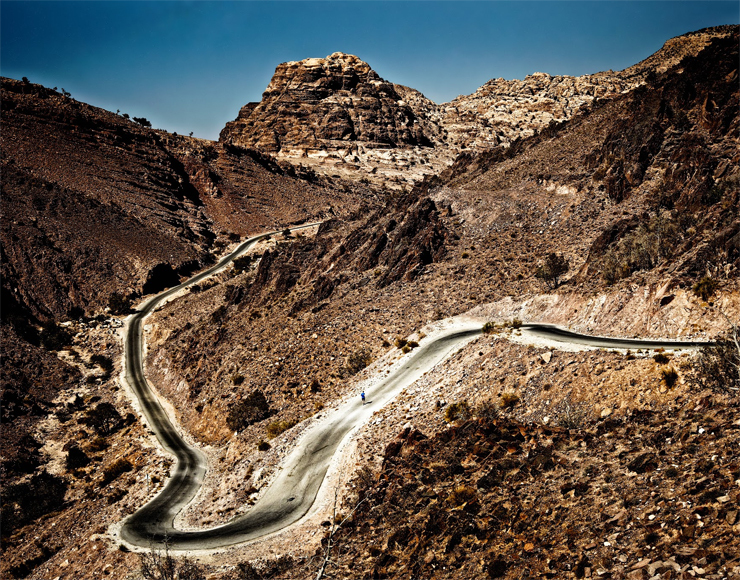 “After a groggy start at the hotel, the group met in the Petra Visitor Centre for a wondrous walk down through the narrow Siq gorge, before it cleared to reveal one of the seven wonders of the world, resplendent in the empty morning mist. There was only a few minutes to take it all in before a controlled start through the archaeological sight then hitting some steep hills to wake up our legs. 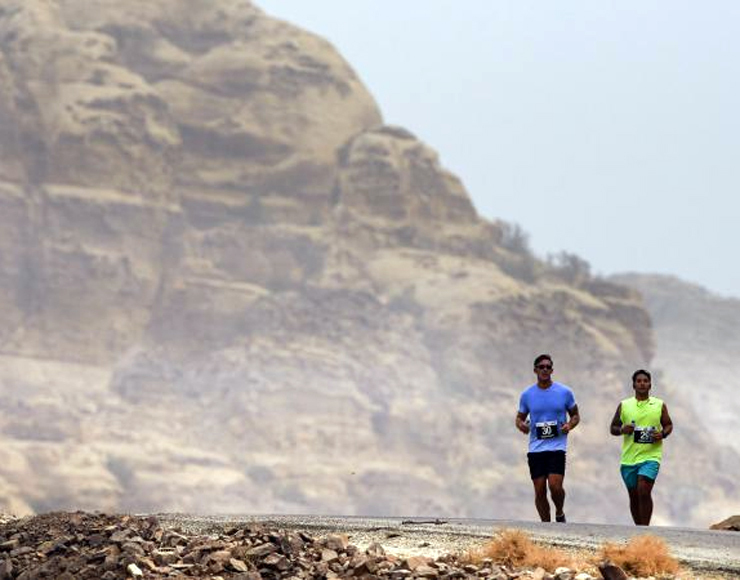 Bedouin tribes littered the desert and looked on in mild confusion at these maniacs running through their desert on sandy tracks that wove up and around the red rocks and sand. The scenery was spectacular, and due to only 50 or so runners, was also tranquil enough to really enjoy. 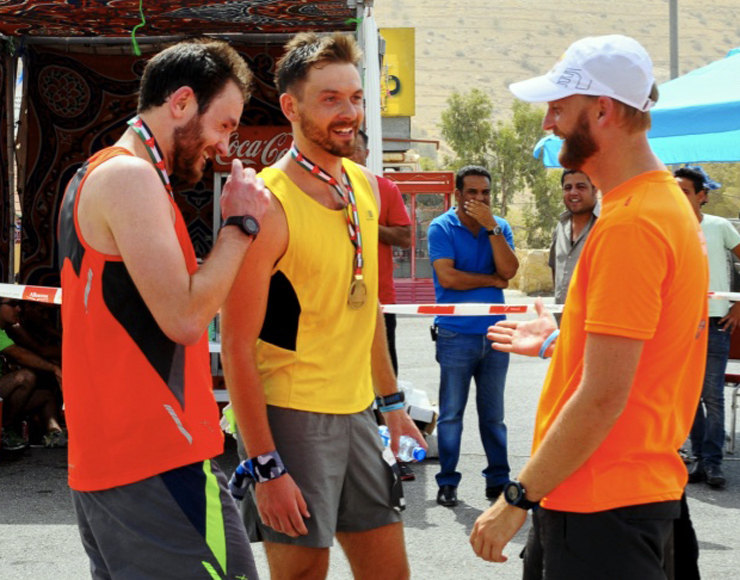 A huge thanks goes out to Mark for his mighty effort in getting to the finish line and showing us he is one tough mudder with a compassion to help others less fortunate. 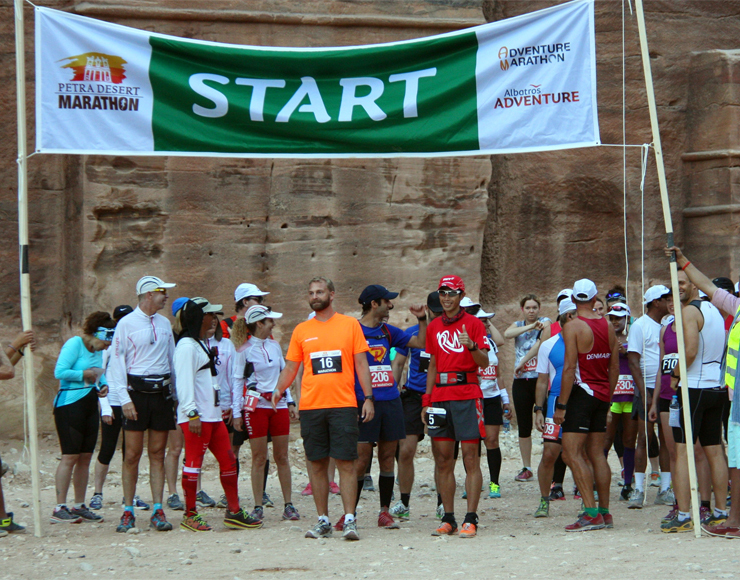 If the Petra Desert Marathon interests you for next year (3rd Sep 2016) then check out their website here. 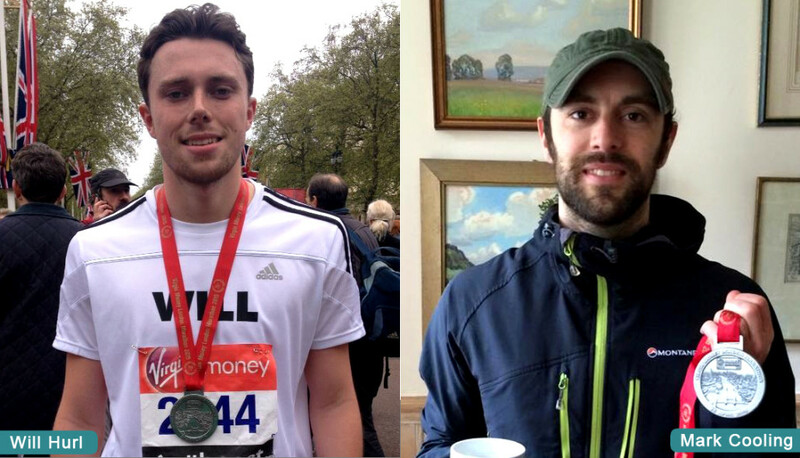 Will Hurl and Mark Cooling have completed the London Marathon in support of United Through Sport. Both completed the run in good times. 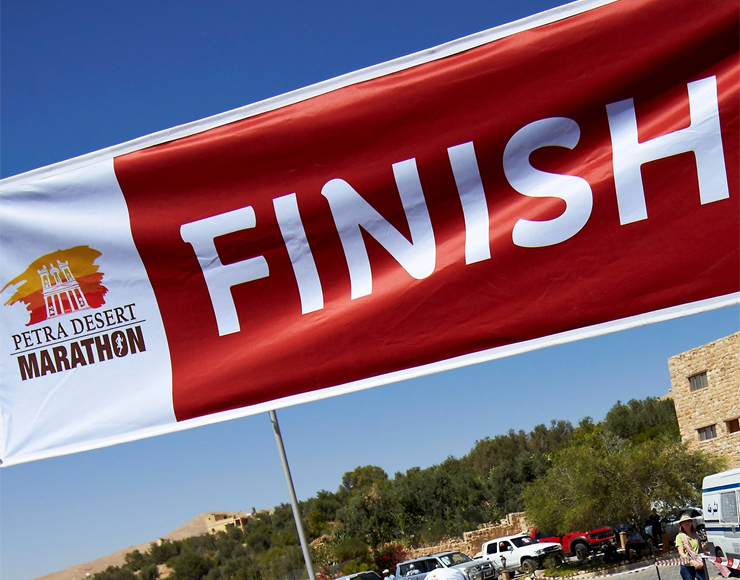 Mark ran in 3 hours and 4 minutes, with Will not far behind in 3 hours and 30, both more than respectable times. We would like to show our sincerest gratitude to these two men for their support. 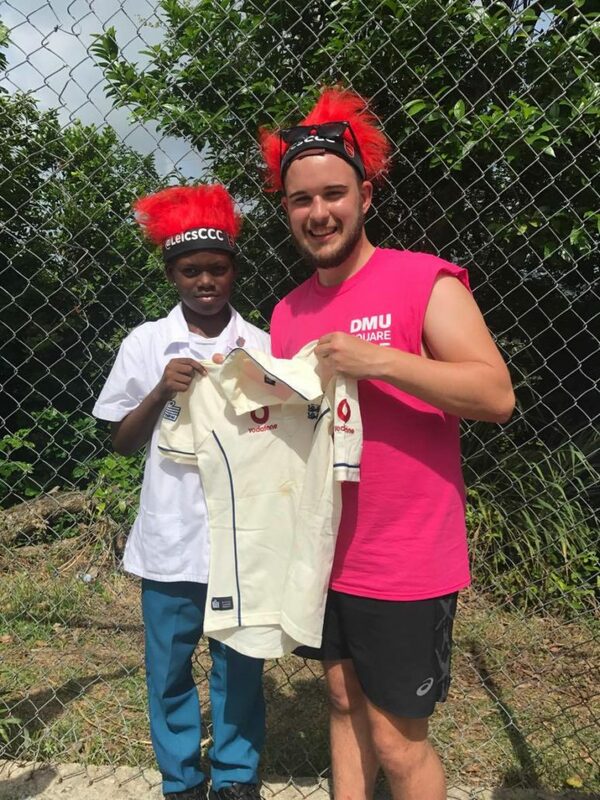 Furthermore, we would like to wish Will luck on his Sports Management placement in Ghana with United Through Sport, which he will be embarking on later this year.